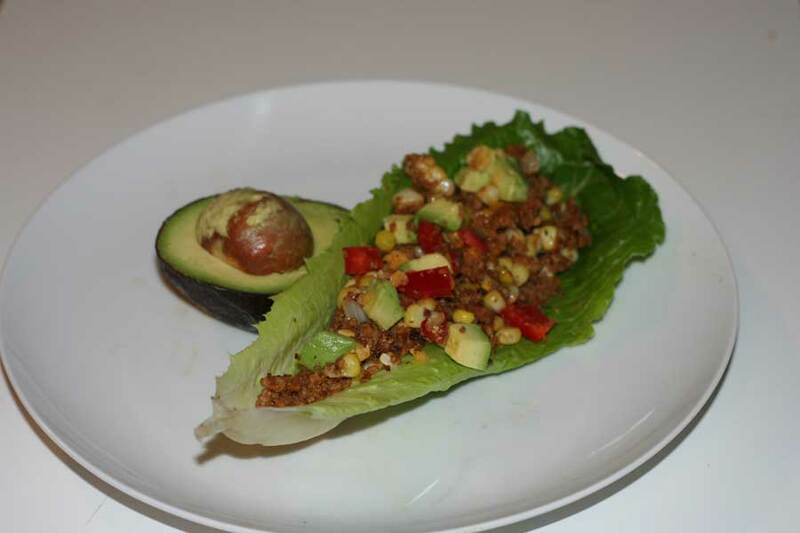 #BeyondMeat Vegan Lettuce Tacos + Giveaway! I am excited to have the opportunity to cook with and talk about the Beyond Meat line of vegan beef crumbles. You all know that I’m a fan of the various vegan meat products out there. Whenever a new product is released, I’m first in line to try it. So I’ve definitely been watching Beyond Meat. Ever since they showed up at Whole Foods, I was there. First their mock chicken products, and now the beef crumbles. They’re not only vegan, they are also kosher and gluten free. It’s the absolute trifecta in my book. The fact that they taste good. Perfecto! I’d already tried the beefy variety of the crumbles, so I decided to get a little crazy and try their Feisty crumbles. An idea immediately popped in to my head. I some amazing fresh lettuce and corn from my CSA. I decided I needed to make tacos out of these Feisty crumbles. It would be a perfect light, vegan and gluten free dinner. Since the Feisty crumbles already had some seasoning in there, I had a hunch that with just a bit of adaptation, they would be perfect for my tacos. I chopped up some onion and garlic and added it to a hot pan. I added the frozen Beyond Meat crumbles to the pan and cooked for a few minutes, breaking up the pieces. I added some cumin, salt and pepper to the mix. I then added some corn that I cut off the cob. I cooked another five minutes. I washed and prepped some lettuce leaves. Romaine or Butter Lettuce are perfect for this. I also chopped up some peppers and avocado. 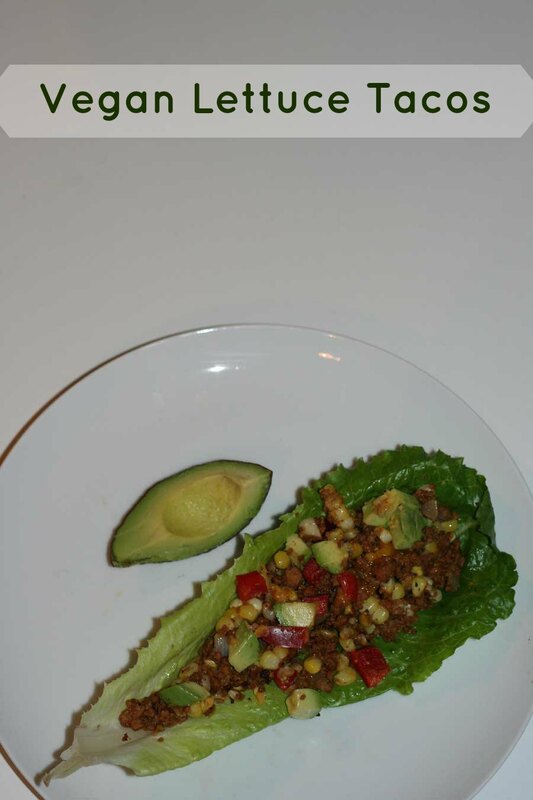 I scooped some of the meat mixture in to the lettuce pieces and then sprinkled over some peppers and avocado. You could also add some cheddar cheese for the ultimate taco experience. This was the perfect summer dinner! Don’t forget to enter the amazing giveaway below! *Please note that this was a sponsored post. While the product was provided to me, the recipe and opinions are my own. Add in the onions, garlic and spices. Cook for a few minutes. 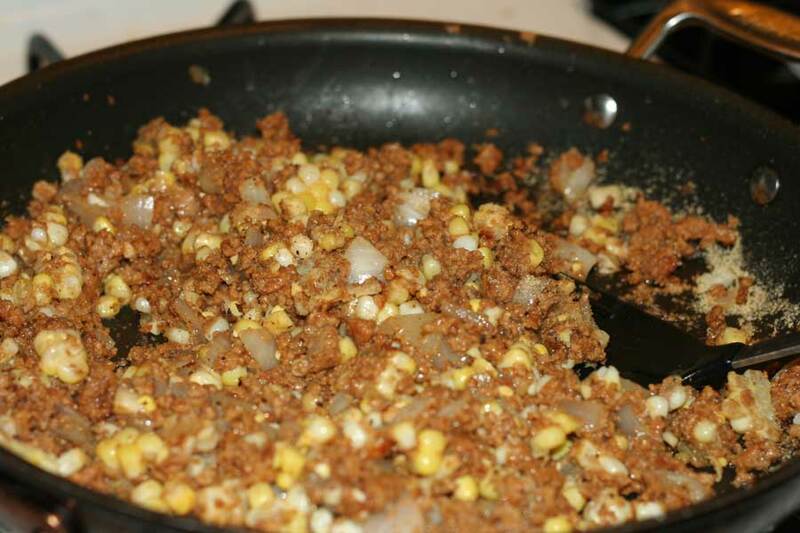 Add in the vegan beef crumbles and the corn. Cook for about 5-7 minutes. Remove from heat. Scoop the meat mixture in to the lettuce leaves and garnish with the remaining chopped veggies and optional cheese. Hi, I’m Hindy! Confident Cook, Hesitant Baker is a place to catalog all of the goodies I cook up in my kitchen. I love to experiment and have eclectic food tastes. I try and stick to a vegetarian diet, while the family eats the animals. I keep a kosher home and I like to push the boundaries of tradition. Welcome to my journey! Subscribe to Confident Cook, Hesitant Baker!